So here's another build I've parted together using used parts from popular secondhand apps and sites. This one turned out especially economical! All the parts I got used except for the SSD, which was incredibly cheap off Amazon. It's not the flashiest or prettiest. But it holds its own beauty in its size. This was the smallest and hardest case to build in I've ever done. It also got a very modest Firestrike score of 6850 without overclocking the GPU, which has plenty of headroom to do so. It works! Picked mine up used for $50 so it survived the first owner well enough. Minus one star for a super flimsy heat spreader. I was afraid to press down on it to push it in, worried it might fall apart. Then again, this is low tier ram and the heat spreader is basically cosmetic only. The important part is that it's functional and doesn't look terrible. This card fit perfectly in this case without much room to spare. Its built-in fan controller has it sit around 80 degrees which is acceptable but a little warm for my tastes. Quiet though! Which is probably what they were going for. Fan software allowed me to ramp up the fan profile a bit which also caused more noise, but reasonable fan speed allowed this card to sit around 65 degrees while gaming and the noise was low enough to be comfortable, especially with headphones. Performed well too! Even at more than a few years old, this card is still able to play Battlegrounds, Fortnite, Wildlands, etc. For $60, I'd say that's a win. The hardest case I've built in, for sure. Three stars sounds like a bad review, but the case performs brilliantly, doing everything a mini itx case should. Temps were good, grills directly in front of the GPU allowed plenty of airflow. The minus two stars is for simple common sense lacking. The SSD and HDD mounting plate only allowed for one side mounting meaning that if the connector of the SSD is facing the wrong way depending on how it was built, your right angle SATA connector won't fit due to it sticking up instead of down. The gap between the plate and power supply was just small enough to be impossibly aggravating to get the connectors in as well. The space between power supply and bracket made it too tight to fit the SSD in the slot closest to the PSU, instead forcing the user to mount it closer to the GPU, still not solving the issue with the SATA connector though. The cables for the the USB 3.0 and front I/O were far longer than necessary as well as not black. I heat shrinked the I/O cables to make them match the rest of the build. And while the case may support a 140mm up front, it will not when paired with a GPU that extends nearly the front of the case. It could, but it won't. the difference so small that the case fan holes needed only to be pushed over a few millimeters and it would have been perfect. However, I needed to substitute a 120mm fan instead. This case seemed to plagued by measurements that were done in theory and not in practice. Still a great case, and for the size and airflow, I would definitely recommend it if you're willing to deal with quirks. Splits the power to all the things. Didn't catch on fire, all black cables. Inexpensive and cool looking. Somewhat low key as well which is nice. Only after I've benchmarked it and use it for content on my channel of course! :) Although I should say that I don't make much profit. I'm usually happy to get nearly what I assembled it for. The reward is building it. One of my favorite builds, cant believe how small you made it. Also g4560 ftw. Thank you, it was challenging to work in an enclosure this small, but it can be made to work! Also helps to have lower power parts to keep the heat down like that Pentium. All in all, really happy with how it turned out. This is one of my frustrations with this case. A 140mm fan fits directly center in this case. I bought a 140mm fan so it would be symmetrical. However, with a full size GPU reaching up to the front of the case, my 140mm fan simply would not fit. It was SO close. But I was shoving the GPU too far to the side and putting too much pressure on the PCIe connector to be comfortable leaving it like that. The engineers who designed this could have made the case 5mm wider and solved this issue so that one could fit a 140mm fan and a full size GPU, but of course, that didn't happen. So instead I had to mount the 120mm fan which holes are offset for some reason. Long story short, it upsets me too. Lol. I assume you specifically sought out that particular graphics card and there wasn't a mini version that existed or wasn't affordable with the budget you chose? Not really, I was looking for a card short enough to fit the case, not make sure it aligned with the holes as I hadn't foreseen that far yet. However, when I got the card I test fit it in the case to make sure it would fit (without the motherboard) and noticed it would be a really close call to fit the larger fan in there too, but it looked like it might make it. I wouldn't say I specifically sought out a specific card, for my purposes it was really whatever card was cheap and small enough to fit this case. This Build is like just WOW. From the pictures to the use of space to the part choices. This build is really beautiful. Hats off to you my friend. Hats off to you. I'm fortunate enough to live in an area where used PC parts pop up relatively frequently. It's a great way to build an inexpensive gaming rig for much less than one might think. Yeah i just got stated building and i found out where i live there is a lot of deals so i plan on buying and sell parts. Glad to see you put it together something nice and budget friendly. This is epic and would make a great system for taking to LAN parties. That case is ridiculously tiny. Good job fitting everything in it. Thank you! It was a fun challenge to build in. Also might seriously consider adding a handle to the top if I didn't have to let it go. Not sure the next person would want that. And those temps are really low, I expected them to be much higher with open air GPU. Or it doesn't matter much? So I haven't actually put it on the scale but I would estimate around ten pounds. That might be plus or minus a couple. As for the sturdiness of the case, it is quite sturdy and has a bracket for the power supply to rest on so that it does not fall down onto the CPU which is nice. I noticed however, that the integrity of the case requires quite a bit on the HDD and SSD bracket which spans the width of the case and screws into either side. Even if you don't plan to use a 2.5 or 3.5" drive, I would recommend keeping the bracket there so that the case doesn't flex. It'd be the perfect size and shape to travel with, and with the GPU mounted like it is, gravity isn't fighting to tear it off the PCIe connector like a normal case. Video card temps are very low, even with an open air GPU. But I would assume that is because of the case vents that cover that side of the panel. They don't have dust covers and airflow is pretty unrestricted for that side of the case. However the CPU temperature surprised me. I was expecting a low power Pentium to place lower than 65 degrees even with a stock cooler. I believe the CPU temperatures are a result of the open air GPU taking cool air from the outside and blowing it into the case with no exhaust fan. This case has no exhaust besides the power supply if you choose to orient it that way. I chose not to orient mine that way because I didn't want the PSU and CPU to be fighting over airflow since they are right on top of each other, instead electing to place a strong fan in the front of the case and rely on positive air pressure to exhaust hot air out the back and sides, which it does somewhat effectively, however still resulting in a somewhat warm CPU. I can imagine one might be able to mode the case to put a 90mm fan in the other side of the case next to the CPU to exhaust hot air, especially for higher powered processors. Also do you think if you change front fan to exhaust will help or just increase temps more? As for the exhaust fan orientation, I think that might starve the inside of the case for fresh air flow. It would be exhausting some warm air, but it would be difficult to pull in cool air. However when the fan is pulling air in, there is higher air pressure inside the case, and the air will want to escape out the side and rear vents on its own, taking the warm air with it. I could be wrong! I haven't tried flipping the fan around. But in my experience it seems best to try to force as much air into the case as possible. I love mITX builds. Looks clean, very nice. +1. Thanks! They're becoming some of my favorite form factors to work with due to the challenge and planning it takes to get everything to fit. It's also a challenge scooping up used itx parts for a good price. The motherboards for these I usually have to buy new. Great size and price! Do you plan on uploading any other benchmarks? I hadn't taken any screenshots with more benchmarks. But I did do a video about it! I'm not totally sure on the rules of plugging in a video of this system here but I'll link it in this comment. There's benchmarks of PUBG, Wildlands, and DOOM as well as Unigine Heaven. Very cool, did you modify the bracket on the 770? Nope, didn't have to modify anything. It was a bit of a pain to wedge it in there, especially with the motherboard already inside. But there was a way to do it. Just barely fit with only a few millimeters to spare lengthwise. With a fully-modular PSU like the EVGA B3 450 you could've had better cable management, and if M.2 is bootable, hey, why not get a 250GB Black NVMe and save room? With that cable clutter (unless I'm an idiot and you did good management) you'd be blocking lots of airflow. I agree whole heartedly. I 100% think a fully modular power supply would have been a great asset. Even more so, a modular power supply with custom extensions that would be shorter than the actual cords would be even better as to cut down on length. In that same respect, an M.2 drive would have been beneficial as well to remove the need for SATA and power cables. I would have done both of these things, but had a couple reason not to. For the power supply, I had gotten this one as a bundle with the CPU and case from the same person for $60. So since I had it, I wanted to use it since I got it so inexpensively. As for the M.2, price was the key factor in considering the SSD. 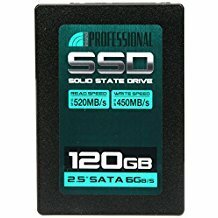 M.2's have gotten much cheaper, but still aren't the point of normal SATA SSD's. 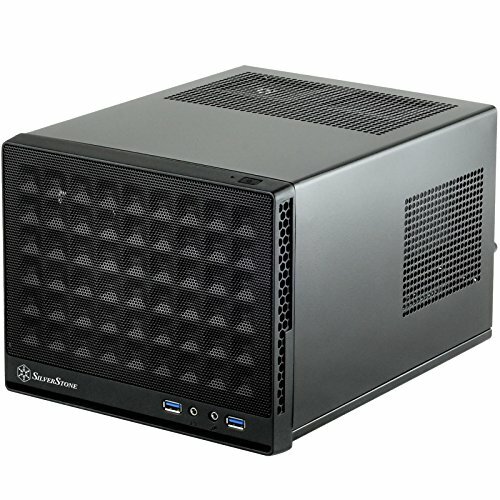 Since this case has no windows and isn't much for show as it is for space efficiency, I figured someone might appreciate the extra $20 off and live with the clutter they can't see inside the case. As for the clutter itself, yes, this case was rough to work in. Really no space at all to fit all those extra cables. As bad as it looks from that one picture, it got a little better as the build went on. But there's no substitute for room. Still, the cables tend to sit above the intake fan apart from the CPU cable and I/O and USB cable. Which I tried to group together as much as possible. hey, is this build good for diablo 3? 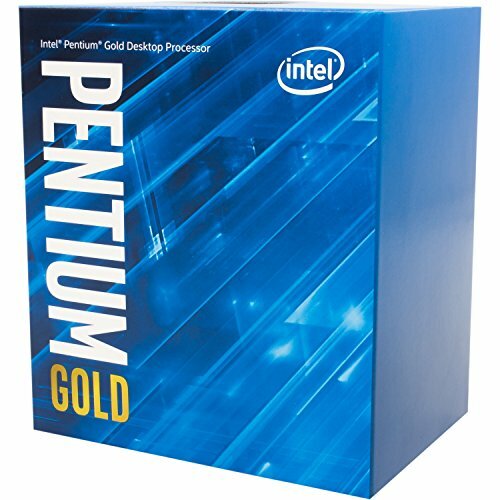 i want to try and build my own gaming rig cheap. I think it would be brilliant for Diablo 3. In fact, this more than exceeds the minimum system requirements. Never played Diablo 3 myself before, but a quick google search of what Diablo 3 requires to run seems to indicate that a PC like this would be a great portable machine that would run your game beautifully. Good luck on the build! Hopefully you can find some parts for cheap. Make sure you match the correct chipsets and do your best to visually inspect the components you buy as best you can for damage before purchasing. I've had some hiccups with parts I've bought used before but have yet to get completely burned. Sweet lookin' ITX! I'm actually looking to build a very similar computer in the SG13B and I have a quick question. Is that stock Intel CPU cooler? And if so, about how tall is that thing? I'm planning on grabbing a Noctua NH-L9i cooler and I'm worried I might hit the PSU. Thanks in advance and congrats again on a very cool build.